Do you want to build a website without hiring a developer? A drag and drop WordPress page builder makes it easy for you to create and customize beautiful websites all on your own. In this article, we’ll compare the most popular drag and drop WordPress page builders, so you can choose the best WordPress page builder for your needs and start creating your site. 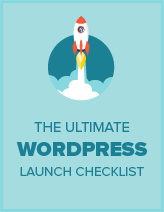 While it’s easy to find a WordPress theme that adapts to your workflow, the customization options on most themes are limited. Unless you’re a developer, you can’t make significant modifications to your theme design. This is where a WordPress page builder comes in. A drag and drop WordPress page builder plugin lets you create custom layouts for your website the way you want. Basically: if you can imagine it, you can now create it (even if you’re not tech savvy!). Now, let’s take a look at the best drag and drop page builder plugins for WordPress. Beaver Builder comes with dozens of gorgeous page templates, so you can easily kickstart your design without starting from scratch. You can choose a template, replace the images and text with your own, and then hit publish. Beaver Builder works with any WordPress theme giving you full control over your content. The best thing is, even if you stop using the plugin, your content gets ported to the WordPress editor. With the pro plan and above, you’ll get beautiful Beaver Builder compatible themes that allows you to modify your styles with the native WordPress Customizer. Get started with the Beaver Builder today. The Divi Builder is a powerful WordPress page builder that lets you build any type of design on your website with drag and drop. 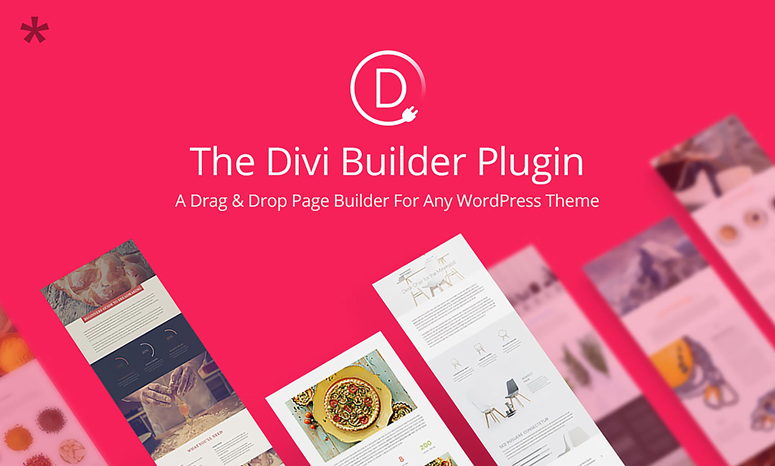 The Divi Builder is made by Elegant Themes, a renowned WordPress themes and plugins company. 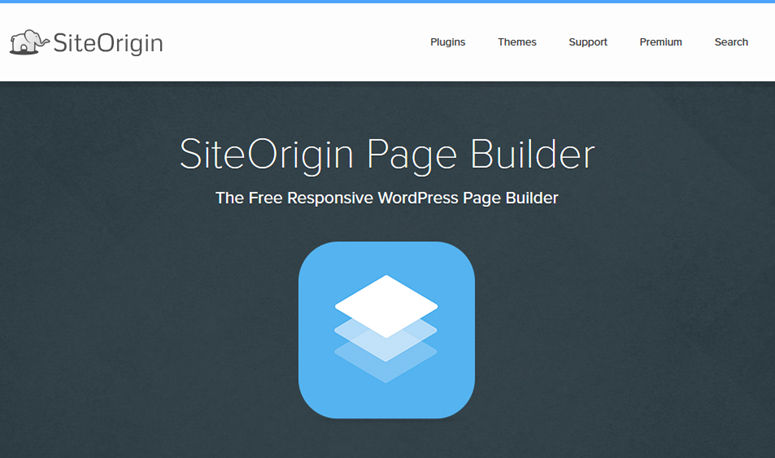 The plugin is bundled with 46 builder modules, 20 row types, and 3 section types, all of which can be combined and arranged to create just about any type of website. With its advanced design settings, you can customize every element to a great extent. That being said, if you want to make real-time changes on the design, then you might want to use the Divi theme. With the theme, you can build your page with the frontend editor, so your pages can be updated right from the frontend without having to switch back and forth from your dashboard to your website. Elementor is the first free and open source advanced page builder for WordPress. With its quick drag and drop builder, you can make instant page edits from the frontend of your site. Elementor is well-known for its high speed performance, which makes it fun and easy to build with. Elementor supports responsive mobile-friendly design, allowing you to build web pages that work great on any device. 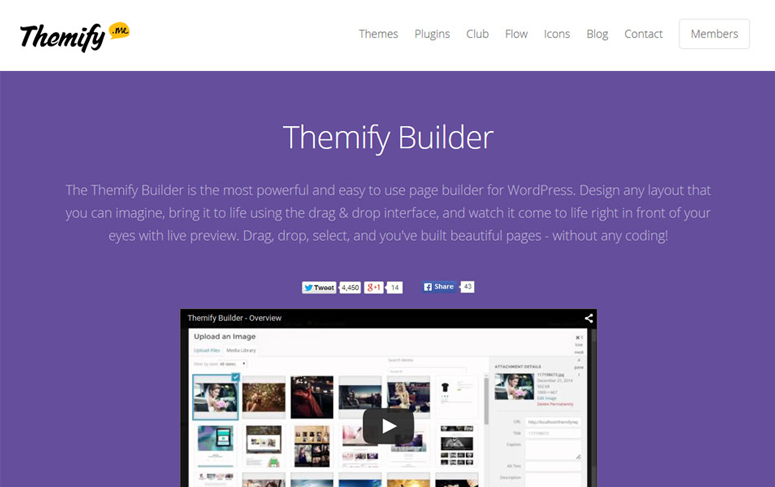 To enhance the capabilities of the Themify Builder, you can find tons of different addons which can be purchased separately or as a bundle. After our comparison, we’ve found that Beaver Builder is by far the best drag and drop WordPress page builder. It comes with all the features that you need to build awesome website layouts. You can use its extensive collection of prebuilt layouts to quickly build a page from the ground up. After selecting the right layout for your site, you can customize the page the way you want. Which of these would be the best at handling a landing page using video backgrounds? What about Avada. I have been using avada now for 2 years and I am able to do all my clients websites without a problem. Is there a reason why avada is not in your list of page builders? Why isn’t Boldgrid in this list? Shouldn’t it be #1? All of these page builders are WordPress plugins that you can install on any website. But BoldGrid is more of a website builder than a plugin, just like Wix and Weebly. So we listed it in our best website builders list. 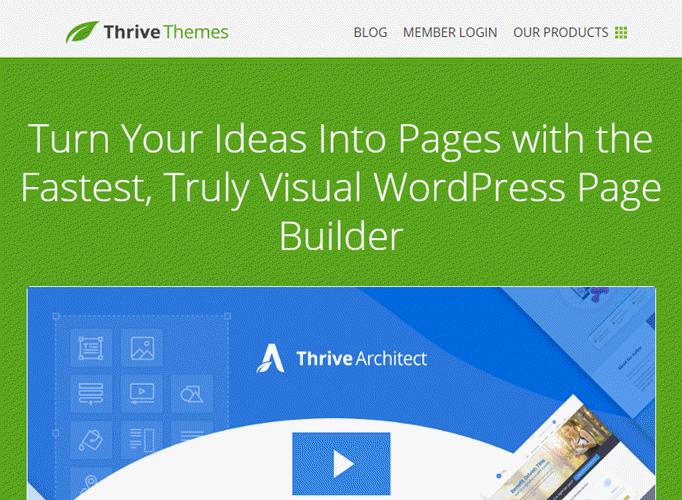 I’ve used Thrive Architect, WPBakery and Elementor…Of the three I would go with Elementor if you are not good at coding and want a quick front end editor and fast builder for landing pages, etc for WP. Can’t comment on the other ones but of those three I would go with Elementor. Thank you for share this article. I have a question, I would apreciate your help. I used the Power Builder to build my website about 2 years ago. Now, it just disappeared from my editor. If I install other, like the Beaver builder, do you think I an keep same content as before or it will crash the website? There are 98% of chances that you could loose your content. Download Updraftplus and make a bakcup before you try. I’ve build a lot of custom elements for visual composer (wpbackery pagebuilder). I also build my own grid System (based on bootstrap). So my Visual Composer has a lot of more Features like Responsive Padding, Margins, Transform and so on. I am a developer, so I look behind the visual aspects. I will give elementor a try, but also King Composer! I think kink composer is the best new page builder. It feels like the really new visual composer. Also the declaration of elements is similar than in vc. If the King Composer community grows and the downloads raises, I’ll switch completely to King Composer. Hi guys, I´m beginner and use Elementor pro and would like to create an advertising website, some elements are so important like login for Members who want to register their ads , searching filtration and so on, could you please help me to find a good free tutorial video or something like that? thanks a lot. You might want to look into their documentation. Is Beaver builder and these others like thrive architect superior to short codes or do they do the same as short codes plus more? Or would I need a good short codes plug in and one of these builders to take my sites to the next level? I am trying to figure out what to do and make the right choices. Do these builders have table of contents? Or would I need a table of contents plugin plus a builder plus shortcodes? Any advice is appreciated. All of these are fully fledged page builders and they work great even without any shortcode plugin. And of course, with all these builders, you can easily create table of contents as well. It also requires a lot of CSS to do things with compared to themes like elementor which require none. Divi builder good for Divi theme only. Beaver Builder is far amongst the best page builders out there. I have tried Elementor Pro but I have found Beaver Builder to be more intuitive and stable. Earlier, I was not at all in favour of Beaver Builder, mainly because Elementor had gained too much of popularity due to the fact that they had grown at rocket speed and offered more features than Beaver Builder premium had to offer. But when I was left with no options, I thought to give Beaver Builder a try and I must say that this was the best decision I took. Also, some leading WP reviewers say that unlike other page builders, Beaver Builder is growing at a very slow pace which I believe is incorrect. Beaver Builder puts more emphasis on stability rather than rolling out new features every week. The only way one can experience is by trying Beaver Builder for themselves. Thanks for sharing your thoughts with us, Alok. What’s your mobile speed tests like with it? I have to disagree, Elementor has some issues with the responsive mode and show/hide doesnt work. It will not hide anything when in the mobile version. They’ve limited only 580px width and if you want to minimize to 320px width and it messed up the website. Bunch of flaws in it. Dear Author, Wp Composer must be on the list.